Now that is an interesting result. I guess Ontario has already exceeded the possible hot-backup of the available hydro-electric generation. 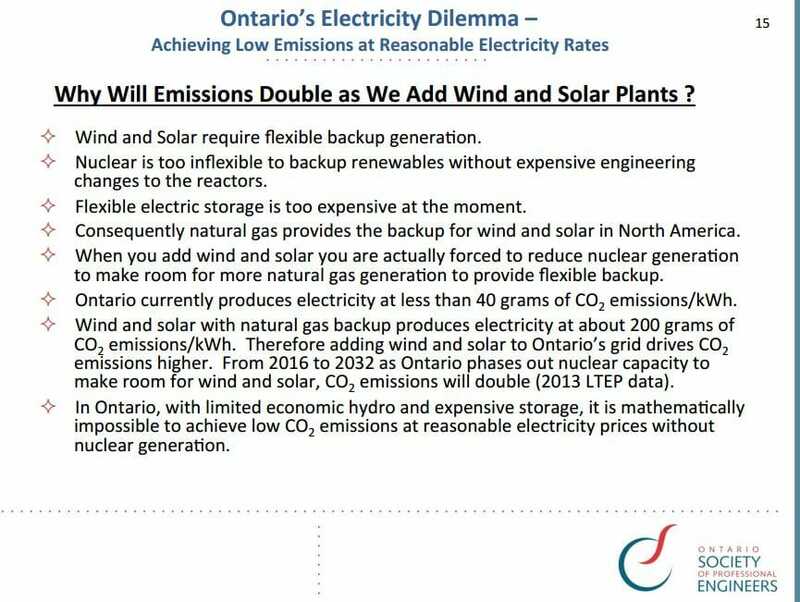 On the other hand, a switch to LFTR based power might end the waste of money going to rent-seeking Wind and Solar crony capitalists. The US has already built a molten salt nuclear breeder reactor using thorium back in 1968 at Oak Ridge that Nixon squelched because we needed uranium waste for bombs - but now we are helping China build an operating LFTR power plant. And gosh-o-gee, Canadian Engineers, the smallish LFTR units will not spew life-giving CO2! The only thing preventing us from going to Thorium is stupid government bureaucracy aided by the rent-seekers. This technology will result in the cheapest source of electric power. Good site on Ontario's power mix.